Enhanced with stunning videos and photographs throughout, illustrating the impact of Kennedy’s presidency and death, the true story of the critical events leading up to and following the assassination of President John F. Kennedy, in full for the first time by the Secret Service agents who were firsthand witnesses to one of America’s greatest tragedies, and have lived for forty-seven years with unresolved guilt and grief. Drawing on the memories of his fellow agents, Jerry Blaine captures the energetic, crowd-loving young president, who banned agents from his car and often plunged into raucous crowds with little warning. 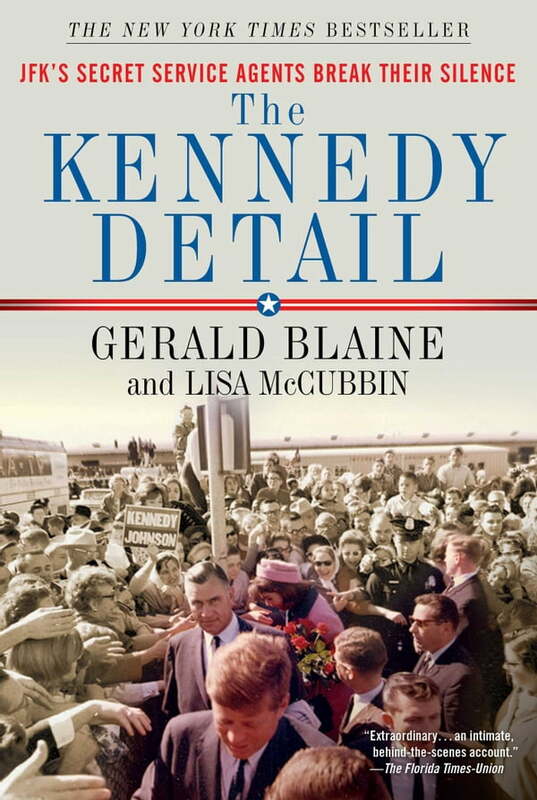 Here are vivid scenes that could come only from inside the Kennedy detail: JFK’s last words to his tearful son when he left Washington for the last time; how a sudden change of weather led to the choice of the open-air convertible limousine that day; Mrs. Kennedy standing blood-soaked outside a Dallas hospital room; the sudden interruption of six-year-old Caroline’s long-anticipated sleepover with a friend at home; the exhausted team of agents immediately reacting to the president’s death with a shift to LBJ and other key governmental figures; the agents’ dismay at Jackie’s decision to walk openly from the White House to St. Matthew’s Cathedral at the state funeral.